Are neonicotinoid insecticide seed treatments endangering wild bees? “Federal protections may be the only thing standing between the bumble bee and extinction,” said Rebecca Riley, with the Natural Resources Defense Council, after the Trump administration released its hold in March and agreed to list the rusty patched bumble bee (Bombus affinis) as endangered. 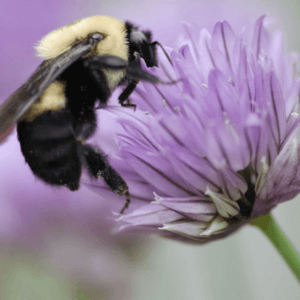 Bee activists are now lobbying the Fish and Wildlife Service (FWS) to list three other wild bumble bee species: the western bumble bee (Bombus occidentalis), the yellow-banded bumble bee (Bombus terricola) and Franklin’s bumblebee (Bombus franklini). The designation has received mixed reactions in different quarters. While some environmental groups are celebrating, making the case that all bees are facing extinction pressure and that pesticides are the main driver, the decision has stirred a backlash among some farmers and supporters of the Trump administration’s nascent infrastructure rebuild plan. The designation could require landowners and businesses to apply for special permits in areas where the bee is thought to live, opening the door for legal battles over development. The rusty patch designation has also stirred a good deal of controversy because of questions about what might be causing the bees’ health problems and whether endangered-species status is the best approach to deal with the problem. It’s a vague statute that poses serious implications for farmers and for infrastructure improvements—and the job creation that goes with them—because they will inevitably be challenged by opposition groups. 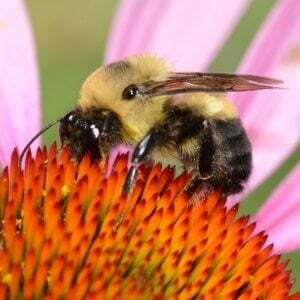 Most experts acknowledge that wild bees in the US face challenges. In the early 1990s, the rusty patch was common and abundant in 29 states, but today it is only found in scattered locations in 13 states, comprising just 0.1% of its former territory. It’s been estimated that its population has declined by 87% or more. There have been some reports that hundreds of wild bee species face extinction. The exact reason why the wild bee numbers are declining is unclear. 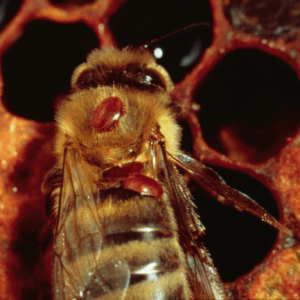 The Varroa mite, which is believed to be the driving cause behind honey bee health problems, appears not to be a factor for wild bees. A combination of many factors, including loss of habitat, disease and parasites, climate change and pesticides are probably to blame, according to an FWS press release. What is the health status of wild bees? Are pesticides and neonicotinoids, in particular, the key driver of wild bee deaths? The answer to the first question is: nobody really knows because we don’t have sufficient data. The answer to the second question is: probably not so much, for a number of reasons. Rusty patched bumble bees are “generalists,” meaning they feed on a variety of flowering plants and can live in many different habitats, such as prairies, woodlands, marshes and agricultural landscapes. If pesticides were to blame for their problems, then we would likely observe declines in areas where pesticides are most widely used, and we would see healthy populations where they are not. However, they’ve declined in areas where pesticides are never used, such as the Great Smoky Mountains National Park, a huge area that encompasses 816 square miles. While park rangers can prohibit the use of pesticides, they cannot protect bees free from pathogens like Nosema bombi, a fungal gut parasite that affects bumble bees. The rusty patched bumble bee and related species have been in sharp decline since the 1990s, before the widespread use of neonics. 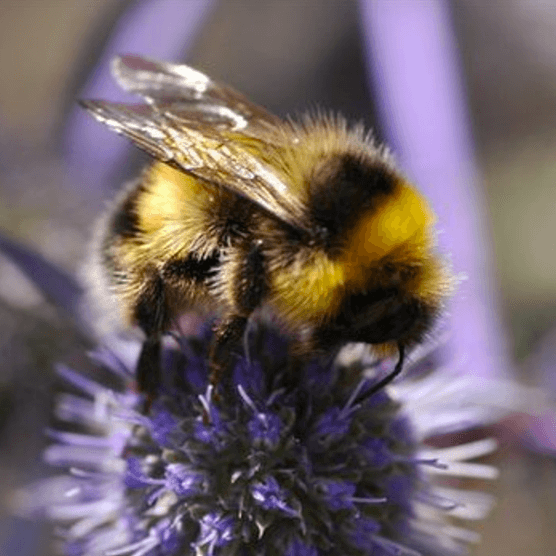 The problems were linked to infections by Nosema after bumble bees that were raised commercially to pollinate greenhouse plants likely transmitted the pathogen to wild bees. What about other wild bees? There are about 4,000 species of wild bees in North America. Over the past decade, researchers have identified numerous factors that may be harming some species. These include viruses such as deformed wing virus, pathogens such as Crithidia bombi, insect predators such as conopid flies, fungi such as Nosema bombi, habitat loss, climate change and pesticides. How serious is the wild bee decline? 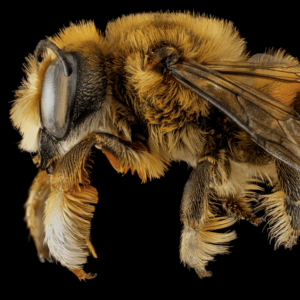 For the most part, we just don’t know, according to Sam Droege, a wildlife biologist at the United States Geological Survey (USGS) who probably knows more than anyone about wild bee biology and identification. In the US, most wild bee species live in very remote areas—mostly in deserts—where human researchers are unlikely to find them, let alone conduct extensive research on them. And even if we could find them, we simply do not have enough qualified researchers doing the job. In addition to being difficult to observe, wild bees living in remote areas are not likely to be exposed to neonicotinoids or other insecticides because they are far removed from agricultural lands. Most North American wild bees are “specialists,” meaning they only feed on flowers in a single plant family, and some super specialists only feed on a single plant species. Thus, they have no interest in agricultural crops like corn, soybeans, cotton or canola. There are of course some species that forage on crops, but according to Droege, they are not at risk because of their varied diet. A study published in Nature Communications by 59 scientists across the globe confirms this. The authors found that only a small number of wild bee species visit crops, and that threatened species rarely go near them. Only 2.0% of known wild bee species were found to visit crops in significant numbers, and those species are flourishing. The small number of wild bee species that do forage among row crops, and are vulnerable to sprayed pesticides, are unlikely to be harmed by neonicotinoids because of the unique way they are used. Rather than spraying their fields with chemicals, most farmers who grow corn, soybeans and canola treat their seeds with neonics before planting them. This allows them to use less insecticide and they avoid spraying chemicals directly onto their crops, creating a safer environment for bees and other beneficial insects. Large-scale field tests that have exposed wild bees to neonic-seed-treated canola crops have shown no adverse effects, including one involving bumble bees (Bombus impatiens) in Canada and two others from Germany involving red mason bees (Osmia bicornis) and a different bumble bee (Bombus terrestris). A study from Germany and one from the US have also shown that residues in the nectar and pollen of neonic-treated-crops and nearby vegetation are relatively low. The case of the alfalfa leaf cutter bee (Megachile rotundata) is also informative. This non-native bee occurs in the wild, but is also sold commercially for pollination services. In Canada, it is used to pollinate some of the country’s 19 million acres of canola, almost all of which are grown from neonic-treated seeds. These bees only forage a few hundred feet from their nests, so their diets consist mainly of pollen and nectar from the neonic-treated canola. In addition, females chew on neonic-treated canola leaves to line their nests, and they feed pollen and nectar from the canola plants to their young. Thus, all four life stages—egg, larva, pupa, and adult—are exposed to neonics in greater doses than most other bees, yet “their populations are stable and healthy,” according to two professors from the University of Montana. What’s the biggest threat to wild bee species? “Habitat loss” by far, according to Droege. “If you plow up the desert or remove it or turn it into a parking lot, removing all of this complexity of rare plants that only certain bee species are associated with, then those bees are gone,” he told me. Richard Levine, co-author of IPM for the Urban Professional: A Study Guide for the Associate Certified Entomologist, managed the communications program at the Entomological Society of America from 2006-2016. Follow him on Twitter @Rich_Lev.